Model of expanding raisin bread. Wilkinson Microwave Anisotropy Probe, NASA Web site. It was only after the development of the radio telescope in 1937, that the expansion of the universe was observed and established. This discovery is regarded as one of the greatest in the history of astronomy. During these observations, Hubble established that the stars emit a light that turns redder according to their distance. The wavelengths of receding bodies prolonged in the spectrum of light waves would shift to red, while, if the bodies approached each other, the wavelengths would shorten, shifting to blue. The light that came from galaxies that shifted to red showed that the galaxies were receding. In line with this observation, Hubble discovered a striking law: the speed of galaxies that receded was directly proportional to the distance between galaxies. The farther away a galaxy stood, the more its speed of recession accelerated. The result was tested again and again. In short, galaxies were moving further and further away, all the time. A universe where everything constantly moves away from everything else implied a constantly expanding universe. 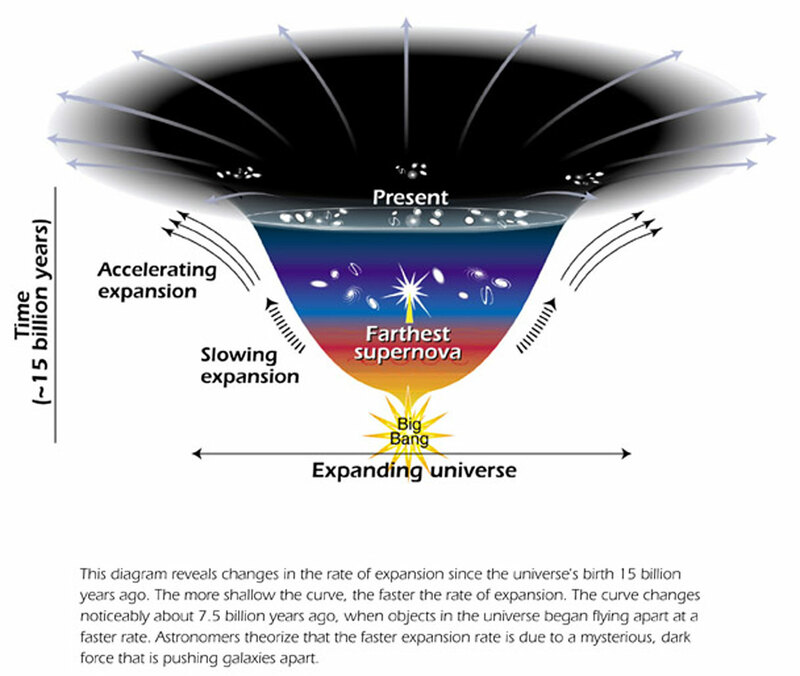 The debate now is not whether the universe is expanding but rather at what rate. In 2011, the Nobel Prize in Physics was awarded to three scientists for the ‘discovery of the accelerating expansion of the universe through observations of distant supernovae’.